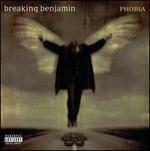 Breaking Benjamin/B; Breaking Benjamin/R. Very Good. In very good packaging. Breaking Benjamin-Ember by Breaking Benjamin. 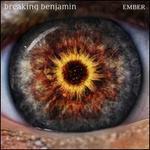 Breaking Benjamin/B; Breaking Benjamin/R. New. New. 050087356095 We cannot ship expedited. Expedited orders will be auto cancelled. CD. New. 050087387945 We cannot ship expedited. Expedited orders will be auto cancelled. LP.